What questions should I ask before deciding to have surgery? If your doctor has recommended that you undergo elective (non-emergency) surgery, for example surgical treatment for chronic back pain or joint replacement, there are a number of factors to consider before deciding whether to move forward with the surgery. First, consider getting a second opinion to learn what other treatment options may be available. Your health insurance may offer a second opinion referral service or you can work with a health advisor to find an experienced specialist for your second opinion. Look for a physician who has experience treating the condition you’ve been diagnosed with and who offers non-surgical treatment options as well as surgery. It’s also helpful to think about what your goal is for treatment so you can share this information with your doctor when discussing your options. Do you want to be able to take part in work and leisure activities without pain or limitations? Do you want to prevent or slow the progression of the condition? Are you looking for an effective treatment that does not require a long recovery period? What type of surgery are you recommending and why? 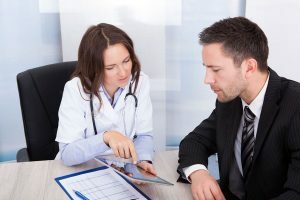 Ask the doctor what’s specifically involved in the surgical procedure, what the goal of the procedure is, and whether there is more than one surgical technique that can be used to perform the surgery, such as laparoscopic surgery versus open surgery or robotically-assisted surgery. You should also discuss what recovery is like for each treatment option. Are there effective, appropriate non-surgical treatments for my condition? Discuss what other treatment options are appropriate for your condition and medical history. These can range from lifestyle changes like losing weight and exercising or taking part in physical therapy to medications or watchful waiting during which your doctor will monitor you over time to see if your condition improves, remains the same, or gets worse. What are the risks and benefits of each treatment option? Any treatment, whether surgical or non-surgical, comes with its own set of potential risks and benefits. Ask your doctor to explain possible complications and/or side effects, how long the benefits of each treatment option can be expected to last, and what outcomes he or she has seen in patients with your condition who are in similar health. What is your experience performing this surgery? Find out how often the doctor performs this specific procedure and what his or her complication and success rates are. Ask whether the doctor is board certified and fellowship trained. How often does this healthcare facility perform this procedure? Ask if the procedure will be performed in the hospital or on an outpatient basis or at an ambulatory care facility. It’s also wise to ask about the experience of the entire surgical team, including the anesthesiologist, OR nursing staff, and nursing and medical staff that will be provide post-op care. What can I expect during recovery? Ask how long you will be in the hospital, whether you’ll have limitations on what you can do while recovering, how long recovery from this procedure typically takes for someone in your condition, and when you can return to work and your normal daily activities. Make sure you understand your doctor’s answers and if you don’t, ask him or her to explain in plain English. It can also be helpful to take notes or bring a family member or friend to do so. That way, you can look back at the information while making your decision. In addition to the information your doctor provides, you can learn more from resources like the American College of Surgeons website, which can help you make an informed decision about surgery.